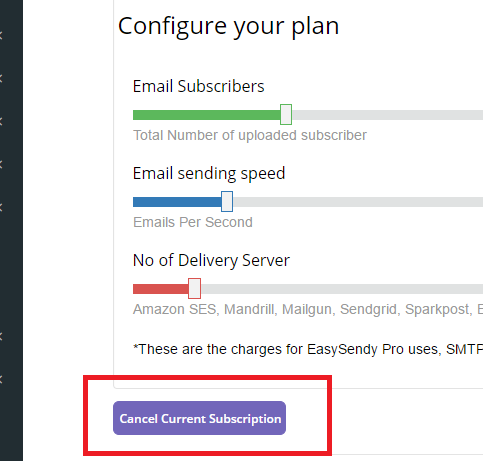 You can easily stop your recurring subscription and stop your EasySendy Drip (or EasySendy Pro) account from EasySendy Drip (or EasySendy Pro) dashboard. For this go to “Price Plans” from Right menu of EasySendy Drip (or EasySendy Pro) Dashboard. Click on “Cancel Current Subscription” button. Having done this, you will receive confirmation email about the subscription cancellation.